Victory Hill Sector is a non-profit trail organization focused on building good trails, organizing events and protecting natural habitat on private and that was logged “heavily” in the 1990’s and early 2000s. Converted skid trails and wood roads which form the backbone for the single track network and provide connections to the Victory State Forest. The host landowner has invested ten of thousands of hours and dollars in making Victory Hill’s trails available to the public and fun to ride. 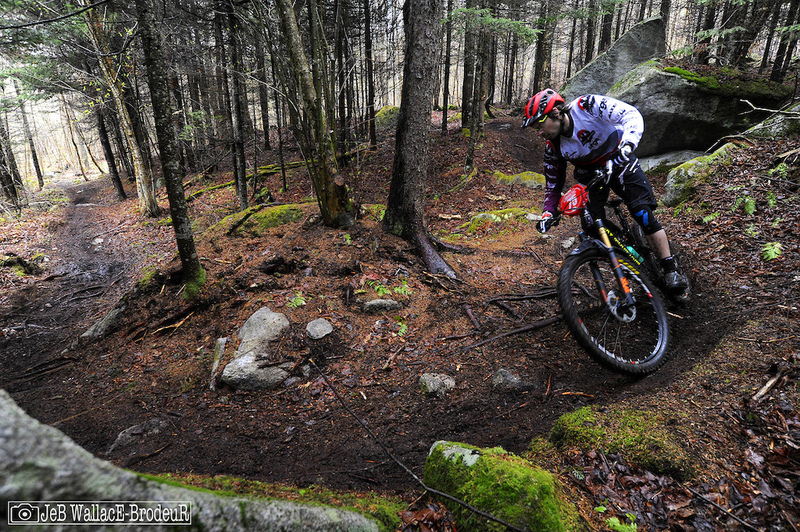 Only day and season members may ride the Victory Hill Sector trails. Kingdom Trails (KT) passes are NOT* valid in Victory, *unless you ride your bike from East Burke to our trails and show your KT pass to our office managers. Buy memberships and fill out your waiver online or onsite at 2428 Victory Hill Rd. Riders should pick up season or day membership wristbanda at Carol Easter’s house, 2428 Victory Hill Rd. If Carol is not at home at 2428 Victory Hill Rd. Use the self-serve payment box for day memberships at the Trailhead. Three campsites in our field. More information and booking. Trails close for 24 hours after any significant rain. Check Trailhub.org for updates and closures. No emergency trail patrol: Ride at your own risk. Do not ride alone. Call 911 if someone is hurt! No regular maintenance crew: Please”pitch-in” a little by removing a sticks or fallen logs impeding your ride. That will help the trails will stay clear. And PLEASE report the location of large blowdown trees on our Victory Hill Sector Facebook page, so they can be removed. Directions: VH is 7 miles ride by bike from East Burke, via Lodge Trail, Camptown and CCC Road. It is 12 miles away from East Burke by car. In Victory our trailhead is opposite 2871 Victory Hill Road in victory, Vermont (If you reach Victory Hill Kennels you have gone 150 yards too far). If the gate is closed. The trails are closed. Check Trailhub.org for updates.